I don't know about you, but I've totally already started brainstorming Christmas ideas for my kids! We've spent a LOT of time this year researching the hottest toys of 2018 to make sure we're always keeping our eyes peeled for THE BEST deals on all of the hottest toys of this year, and I think you'll be surprised at some of the new hot toys of this year along with the crazes that are repeats. Plus we already have a deal for you on the top toys!!! Are you ready for it? Right now, you can get 25% off ONE toy at Target today through 11/10 when you text TOY to 827438. You'll get a unique coupon that you can click on and either show to the cashier at checkout, OR if you're ordering online for in-store pickup or free shipping to your house, enter your unique promo code at the bottom of that page from the link that was texted to you. Plus a TON of the toys that are trending this year are ON SALE too, which makes it an even better excuse to grab these now and not have to worry about them in a few short weeks right before Christmas when they're more likely to be sold out AND full price. Today I'm sharing the hottest toys of 2018 so you can start keeping a look out! These are the items that are predicted to sell out fast, which is why I want to give you a heads up to start shopping for these particular ones early. 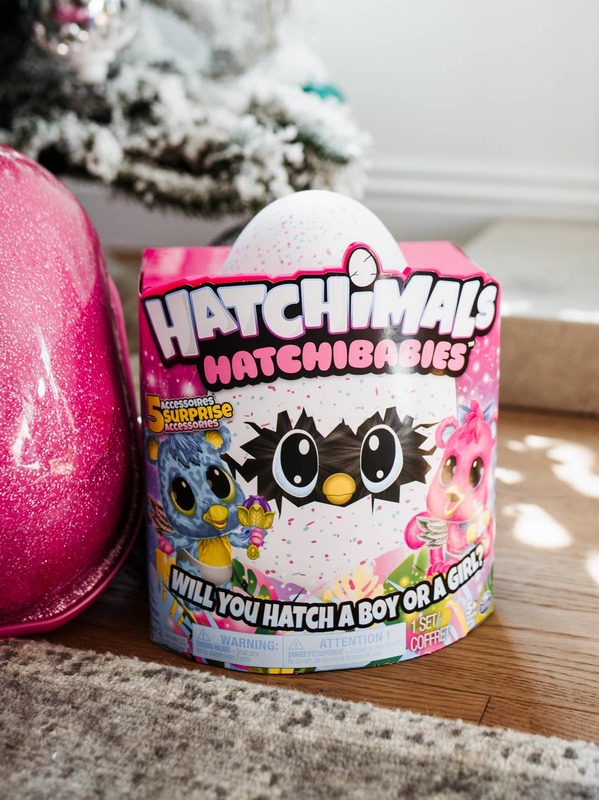 Hatchimals are going to have another big year in 2018. The surprise element of this toy is what all the kids go nuts over. You can't actually see the toy until the egg hatches. But even after it's born, the animals keep interacting while you “care” for them, and the more you take care of them, the more responses get unlocked. Crazy! I was mega against these when I first heard of them but MY KIDS LOVE THEM. So, I won't be surprised if they ask Santa for one this year. I told Lyla this was only for a photo shoot but hid it in a closet after so at least now I'm prepared right?! Ha. These Hatchimals HatchiBabies CheeTree are on sale for $48.99 this week (reg $59.99) plus you can stack the 25% off offer to get them for $36.74 – way better than $60 right!! These toys have a high sell-out risk for this year so if your kiddo has hinted at wanting one, get it now while it's in stock and ON SALE. 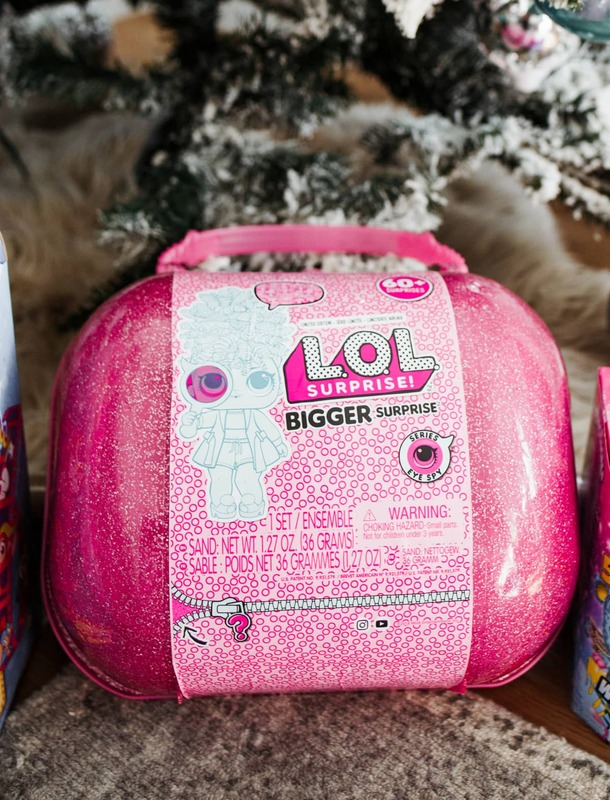 Okay, another toy that has the fun suspense and buildup is the L.O.L Surprise! Doll Bigger Surprise. This huge set comes with a carrying case, collectible dolls, and really cute accessories. Everything is a surprise before they actually open it up and unbox everything, so they get really excited to see what they'll find. This is a great toy for traveling too because everything fits in the case, and with so many different options for the dolls inside, it keeps little ones busy forever. The L.O.L Surprise! Doll Bigger Surprise is on sale this week and you can stack the 25% off coupon to get it for $59.99. Still ridiculously priced IMO but if this is what your kid really wants, this is at least better than paying $90 or worse, over $100 if they sell out everywhere like they did last year, and you have to buy them from 3rd party sellers on ebay or amazon for prices that will make your eyeballs pop out of your head. SERIOUSLY. We actually gave this to Anabelle last week for her birthday (since I had already bought it for this shoot) and she and Lyla really did play with it for HOURS so it is pretty good at keeping them entertained for longer periods of time! They had a lot of fun unlocking the “clues” before opening each little surprise. Fingerlings were originally these tiny little animal toys that went on your finger, but these bigger ones take it up a notch! The HUGS version of the Fingerlings wrap their arms around you for hugs and cuddles, and since my girls love toys that they can carry around and pretend are babies, I think these are going to be a huge hit this year with them! They also actually fall asleep when you swing or rock them. They're not the very cutest IMO but honestly, probably what you can count on your kids to ask for this year! This Fingerlings toy is ON SALE plus you can stack that 25% off offer on top of the sale price to get a GREAT deal. We've rounded up the toys that are predicted to be the hottest ones this year so you can snag them before they're sold out! We tried to include options for everyone to give you a great head start on every kid on your list. Don't forget too that the Target toy sale goes through the end of this week, and the 25% off code that you can stack on top of the sale prices goes through 11/10. Text TOY to 827438 to get a unique 25% off ONE TOY link sent to you that you can use in-store or online to have shipped to your house or for in-store pickup! 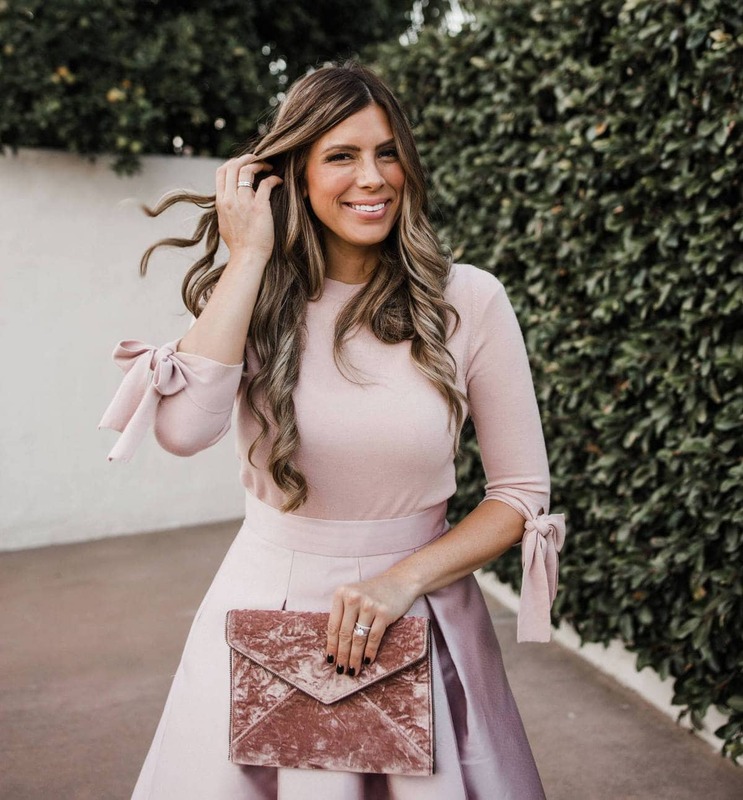 Your guide to Nordstrom’s HUGE hidden makeup sale!! !